More info: As this costume is slightly bigger than usual, we recommend choosing a size based on the measurements in the size guide rather than the age. 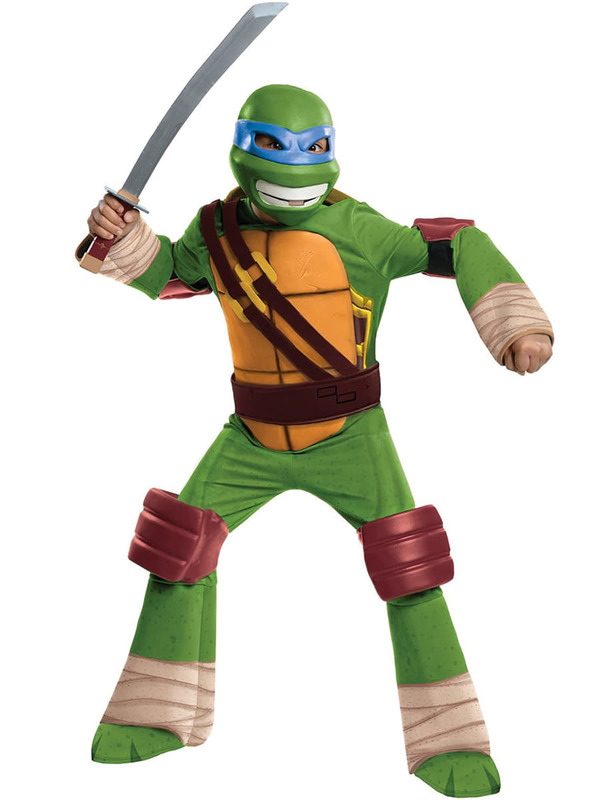 This Leo costume includes a green jumpsuit with a moulded chest, boot covers, elbow guards, brown kneepads, green mask and blue eyemask. Upload your photos to Instagram with the hashtag #funidelia followed by #funidelia11838. Product Rating: "Ninja Turtles Leo Toddler Costume"